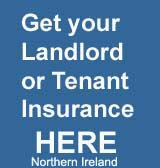 As a result of the Central Bank's new lending regulations brought in during the early part of 2015, houses do not appear to have been selling for prices paid in 2014. 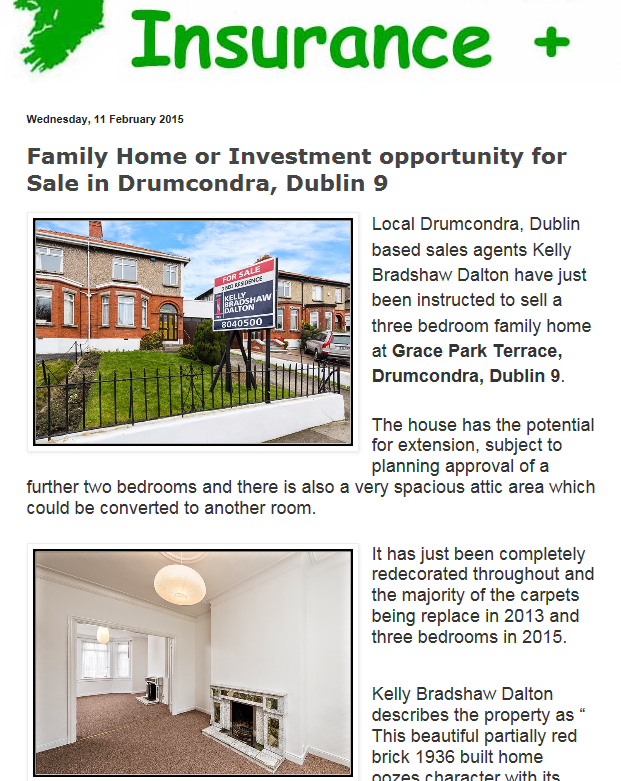 The owners are being very realistic now about the market and this excellent family home in Drumcondra, North Dublin. 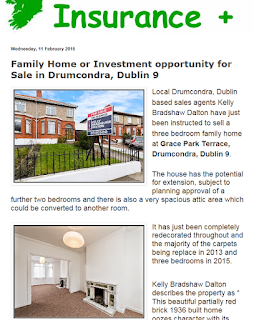 They have instructed the agents Kelly Bradshaw Dalton to advise anyone who has seen it and really liked it in the last few months who might have been able to afford a higher price under old lending regulations in 2014, that the owners would consider an offer of €510,000 for a quick sale. This house has great potential for expansion to a 5 bedroom residence as other similar properties have been transformed in that road that runs parallel with Griffith Avenue.